This is pure indulgence. Mashed potatoes with the works. This is not for a diet and I don't suggest having something this "naughty" often. For the holidays, indulgence is a little bit of the whole. It is my time to bake and cook what I don't usually make. All I can say is that these potatoes are yummy. In 6-quart saucepan, place potatoes, 1 1/2 teaspoons salt, and enough water to cover potatoes. Set aside. In nonstick 12-inch skillet, melt margarine over medium heat. Add leeks and onions and cook 20 minutes or until golden, stirring occasionally. Meanwhile, heat saucepot of potatoes to boiling over high heat. Reduce heat to low; cover and simmer 10 to 12 minutes or until potatoes are very tender. In saucepan, with potato masher, mash potatoes until smooth. Oooh yum, I love leeks! I love these Mashed Potatoes. Thanks so much for sharing your awesome post with Full Plate Thursday and have a fabulous day! 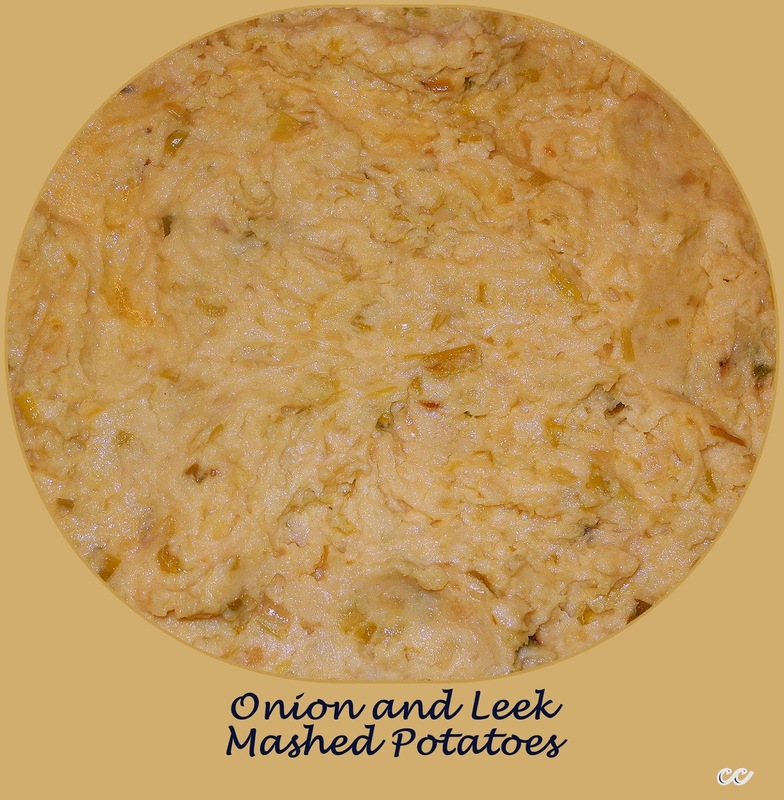 Never tried leeks and onions... two favorites. Thanks for bringing it by Weekend Bites.